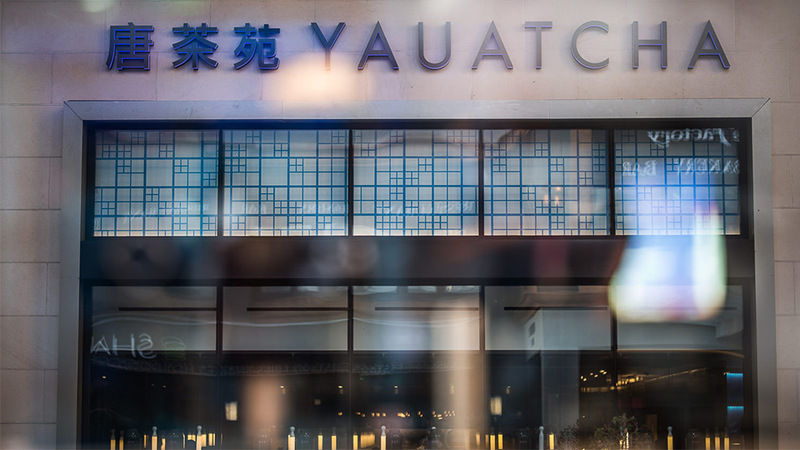 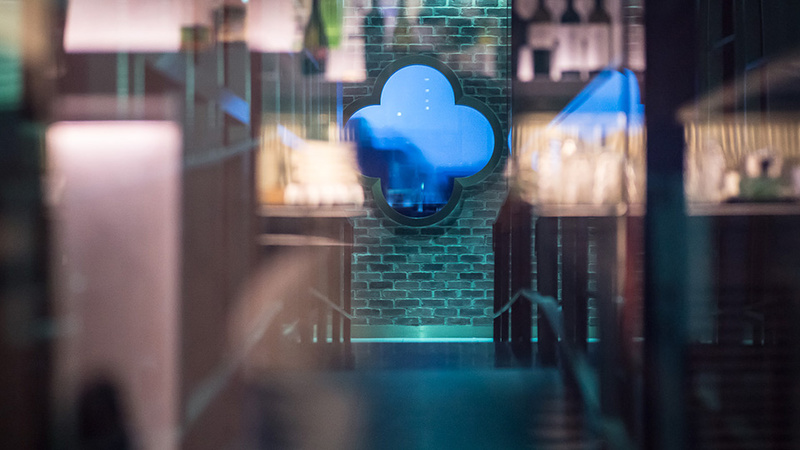 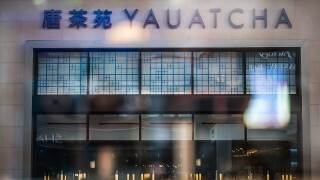 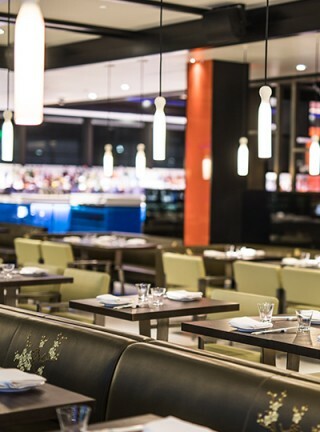 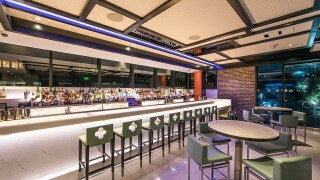 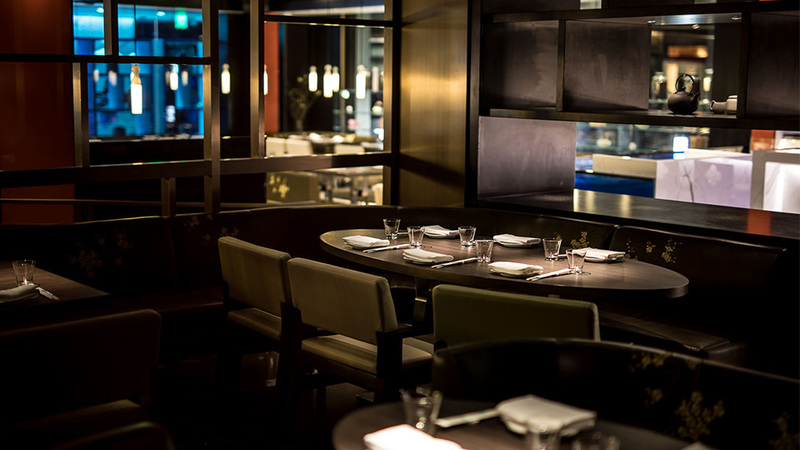 A starlit ceiling, flickering crosses in brickwork and blue glass details bring Yauatcha’s distinct experience to an upscale corner of Texas. 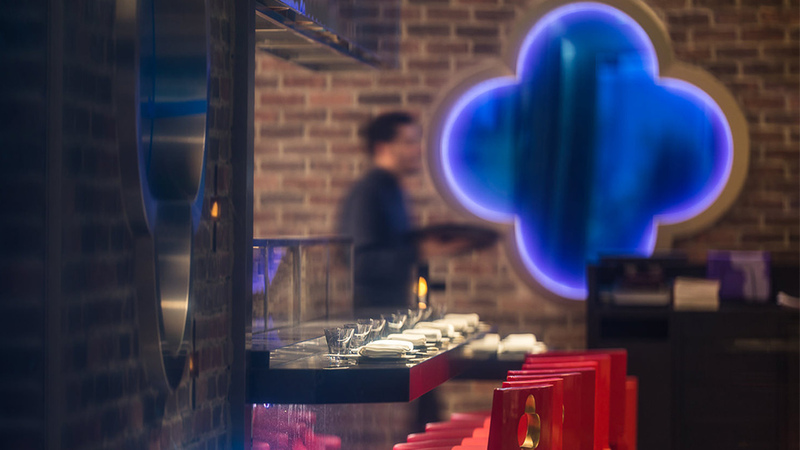 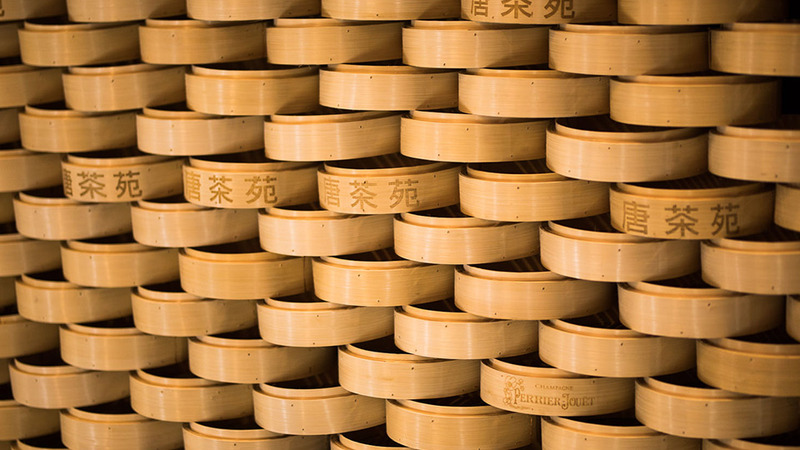 Our job was to work with interior designers GBRH, using key brand elements, to design a dramatic and intimate lighting scheme for the dim sum teahouse. 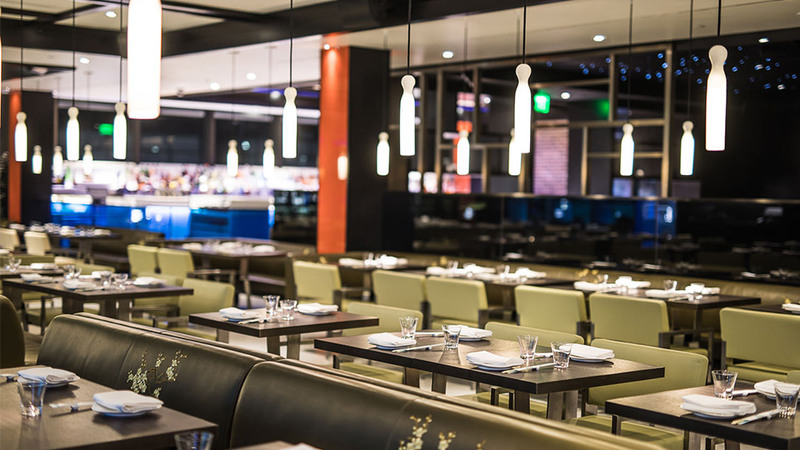 Originally a large square space, the restaurant has been split into different areas, and the lighting design gives each one its own individual feel. 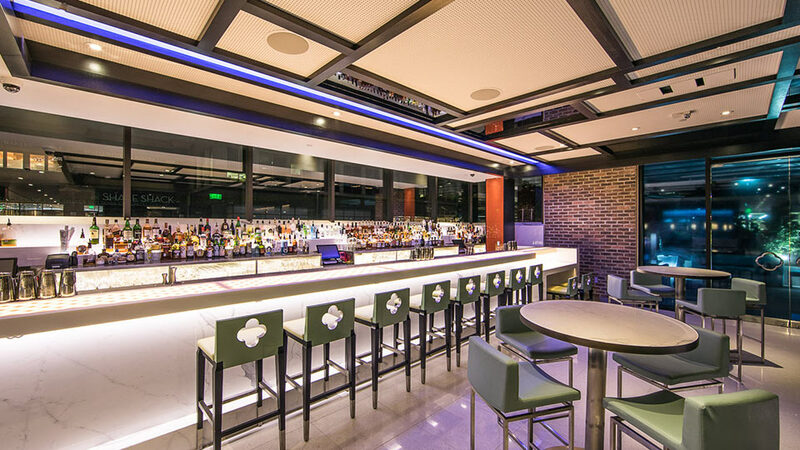 In one dining area an oriental grid ceiling is adorned with bone white china pendants that highlight tables with narrow beams of soft light. The delicate pendants look beautiful and cleverly make the space feel more intimate by “lowering” the high ceiling. 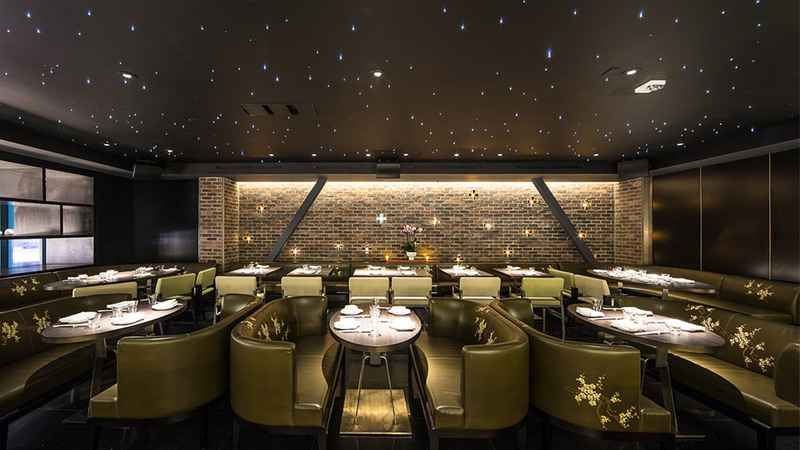 Another area has a fibre-optic starry ceiling for a moodier, darker atmosphere, which in contrast is complemented by light that punches down onto tables and accentuates the olive green seating. As for the kitchen, it’s a hive of activity that can be seen from almost every angle. 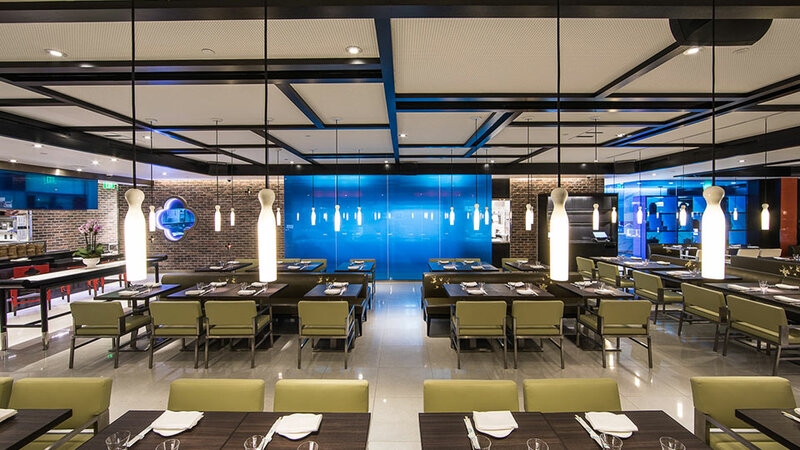 Here, higher light levels not only meet practicality and safety requirements, they draw diners’ eyes to the culinary “theatre”. 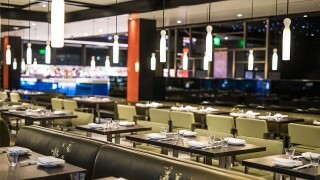 Our design also works to balance the kitchen’s lighting with the ambient needs of the restaurant space. 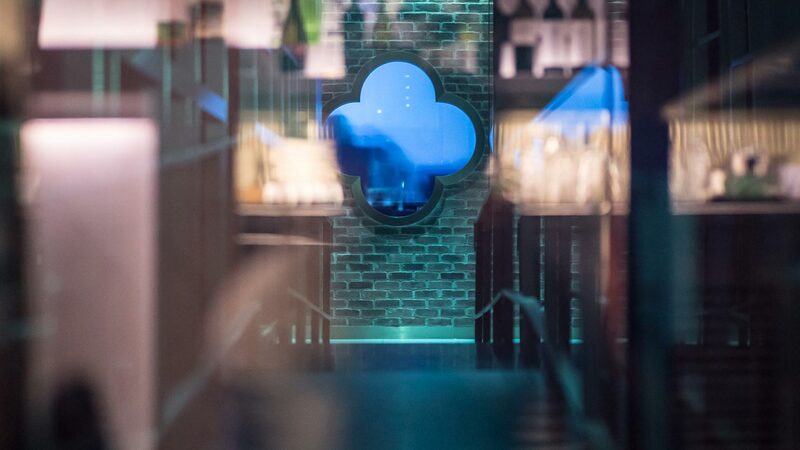 On the outside, to get the restaurant noticed, we did lots of testing to perfect an external dynamic window installation that imitates the effect of rippling water. 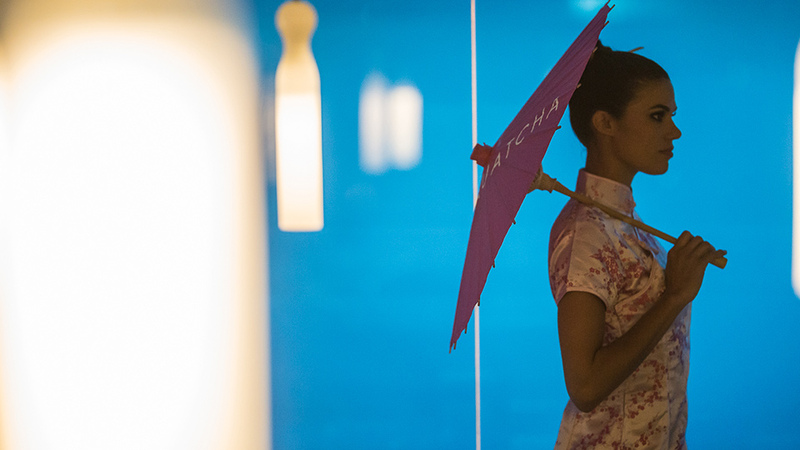 And eye-catching it is. 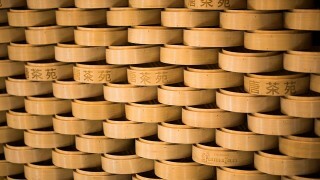 The corner installation, on the building's exterior. 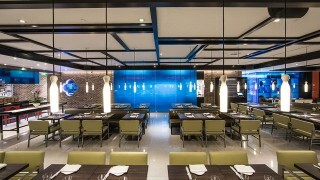 The projected effect of flowing water looks great but was a challenge to perfect, considering how tight the space was.